I really need to give a shout out to a very generous guy who consistently suggests extraordinary people for me to link up with, interview and expose. He big-heartedly suggested I speak with 20-year-old singer and Toronto native, Alexi Couto. 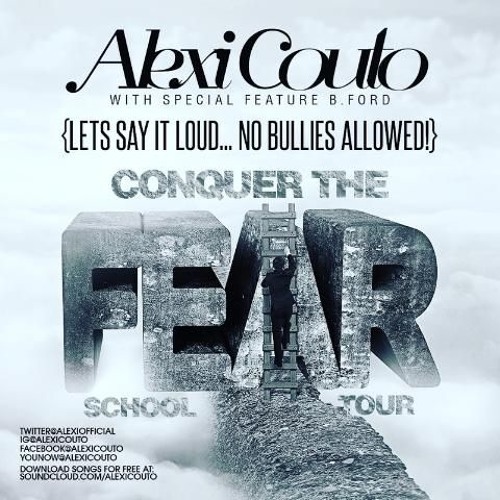 Alexi Couto is a singer songwriter who adoringly devotes her time to music, but also finds time to speak to middle school and high school students about anti-bullying through her Conquer the Fear tour. Anyone doing positive things and giving back, is a person I need to connect with! I accepted his suggestion and made arrangements for the interview. Although she packs powerful vocals (check out her songs – Colour Blind and Conquer the Fear), Alexi’s speaking voice is incredibly tender, sweet, and child-like. I could actually feel her youthful exuberance and optimism through the phone. 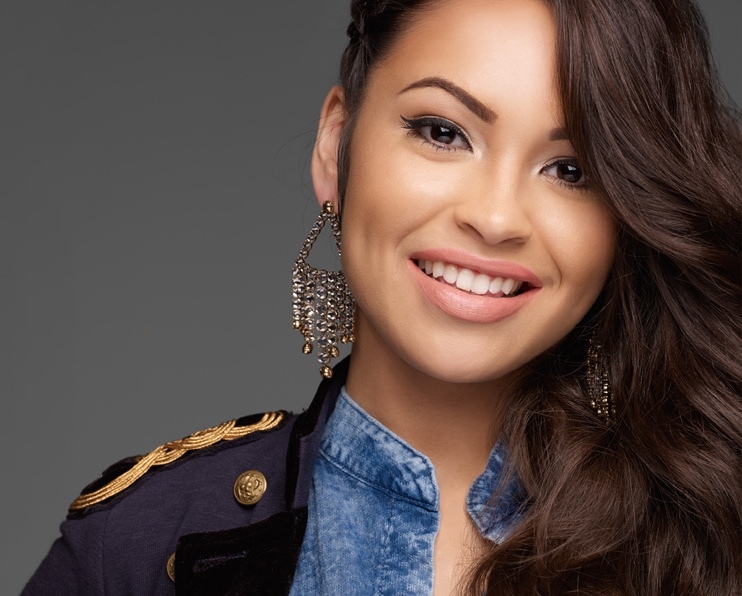 During our interview Alexi spoke of her entry into the music biz, and her love for empowering others. That’s just a sneak preview of our interview. Wanna know more about this positive young lady? Keep reading. Years performing: Started at 3 years old, but began vocal performing at age 10. I was given a tiny keyboard when I was 3 years old so I started playing the piano. My parents never forced me into lessons. I started taking them and my parents noticed that I actually really liked it! On my eighth birthday, my parents gave me a baby grand piano. Ever since then, music has been the thing that I am drawn to—when I’m either happy or sad. I started writing original music when I was 13 years old. I wrote my first song for my dad for father’s day. I was in a competition, and when I got up on stage, I dedicated the song to my father. I ended up winning first prize. Since then, I’ve just been writing music. I am an emotionally connected singer songwriter. What is the “Conquer the Fear tour”? I, along with the New York team of Crash Dummies, Future Fires and David Nelson of Ujamma Talent Agency and Toronto music management Knockout Entertainment Music Management Group Inc., created a tour to raise awareness about bullying and the injustices young people go through today because of being different or unique. I visit various elementary and secondary schools within Dufferin Peel Catholic District board and talk about how to overcome bullying and fear. Along on the tour raising awareness with me are: entertainment journalist Raoul Juneja, upcoming hip hop artist Brad Ford, singer / songwriter Jae Cabrera, and former Degrassi actor / musician Shane Kippel. In our presentation we also tell students about soaring to success and how to overcome negative people. I tell students about how I became a musician and how you can achieve anything as long as you put your mind to it. If a student is being bullied we let them know that they can talk to their parents, or their teachers. The tour runs until the end of May. When did you know you wanted to use your voice to help others? In high school, I was a part of an anti-bullying presentation that my teacher asked our class to put together to raise awareness about the effects of bullying, and how young people should not be afraid to speak up because they are not alone. Through this, it made me feel like I wanted to talk about my issues and help people get through their situation with my music, because I am a very emotionally connected singer/songwriter which pushes me to write music that connects and is relatable. In that, I signed to a management company and from there we had a conversation on how I could make this presentation that I was a part of, a reality for me where I could speak to young people today. From there, my management team met with their partners in New York and this led to my story being told about being bullied and how I overcame it. It has been nothing but a positive journey from here. Were you bullied when you were younger? It was not severe, but going into high school my friends distanced themselves from me. They didn’t want to be my friend because I had health issues – I had seizures. In grade 12 I was also told that I couldn’t pursue music and that it wasn’t a realistic dream. I stuck to it and was able to overcome those people who tried to push me down. That’s right, Alexi! You can do whatever you want to do! Listening to Alexi speak about being bullied and now being able to help youth build a healthy self-esteem and put an end to bullying through her tour, warms my heart. Glad I got to meet such a positive spirit. Keep doing you, Alexi!